Hi Everyone, and welcome to day three of Meet The Authors. I'm going to be doing something different today, and highlight an Indian author who wrote an AMAZING Fantasy book that is dark and witty and also steeped in culture. If you haven't heard of this book before, it doesn't matter because it's one of a kind and I highly recommend it! 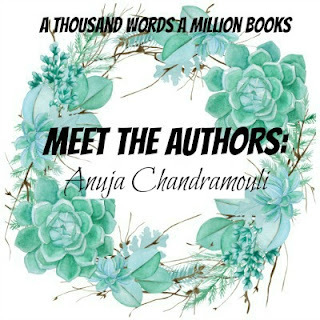 The lovely Anuja Chandramouli is a bestselling Indian author who takes Indian mythology and brings it to the modern world and I'm so excited to have her here on the blog. A BIG thank you to Smit from Penguin Random House India for organizing it all. 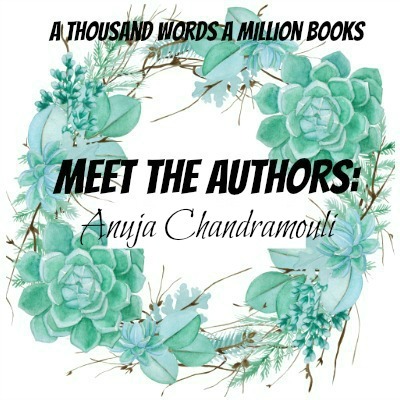 Without further ado, please welcome the lovely Anuja Chandramouli. 1. What were your two favourite Mythology stories growing up? The Mahabharata is my all time favorite. Few things give me more satisfaction than sitting down to re - read it and I love discovering new layers, getting reacquainted with my favorite characters and the fresh insights it can always be counted on provide. Recently I have done plenty of storytelling sessions with school kids to familiarize them with the Mahabharata and it has been an incredible experience! I also love stories from Greek and Roman mythology. It is very layered and complicated with the most fascinating tales ever. 2. If you could meet any one of your Characters in person, who would it be? It may be a strange to put it across this way but there is no need for me to meet any of my characters because they are already a big part of my life. Arjuna, Krishna, Kamadeva, Shakti, Yama and Agni saunter in and out of my head whenever they feel like and it is always cool when they show up. It is like having imaginary friends who are very real for me at least. 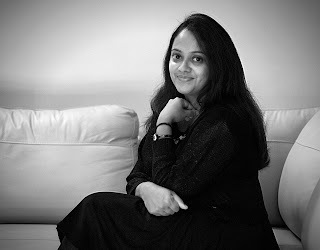 3. Who are some of your favourite Indian Authors? Veda Vyasa, Baradwaj Rangan, Kalki and Mr. J. Mathrubootham. 4. For those readers who haven't read the the Yama's Lieutenant series yet, tell them a little of what it's about? 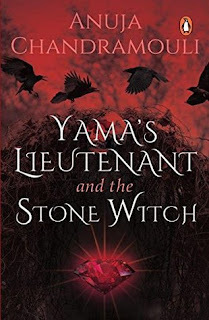 Yama's Lieutenant is a mythic fantasy. The protagonist Agni Prakash is roped in by the mysterious Silver Goddess to act as her brother Yama's agent on Earth and the magic entrusted to him is the God of Death's own weapons as well as the dark gifts of death and damnation. The series help us draw closer to Yama and gain an understanding of his thousand hells, dealing with loss and the process of healing, all through Agni's remarkable adventures. It has been an immensely challenging and fun experience to create this world. Yama's Lieutenant and the Stone Witch is Agni's second adventure where he is entrusted with an impossible task to avert the Apocalypse. 5. What do you enjoy the most about writing Indian Mythology? It makes me feel like I am tucking into comfort food cooked by Mum and always leaves me with a smile on my face :) There are few things in the world to equal the sheer pleasure of reading and writing Indian Mythology. 6. If you could give one piece of Advice to Agni Prakash, what would it be? Blurb Description: As Yama's Lieutenant, Agni Prakash, has diligently been tracking down demons and spirits that threaten peace on earth and dispatching them to his lord's thousand hells. Danger is a constant in his job, but this time an apocalypse threatens his entire world. Agni must go up against a terrifying sorceress-adept in the ancient art of stone magic-and her bestial army of demoniacal creatures who used to be humans before they were transformed into willing killing machines. The witch has a nightmarish vision for a new world that involves large scale culling of the humans-and it falls to Agni to stop her. He must find the Samayakalas, the mysterious keepers of time and reset the clock before all life is destroyed. However, any contact with the Samayakalas is forbidden to mortal and immortal alike and those who flout the ancient decree risk incurring punishment far worse than death. The price asked of him is an impossible one, but Yama's Lieutenant does not have a choice. Enlisting the help of old friends, he must submit to being borne across an ocean of death and destruction to find the Samayakalas before darkness engulfs them all. acclaimed debut novel, Arjuna: Saga of a Pandava Warrior-Prince, was named by Amazon India as one of the top 5 books in the Indian Writing category for the year 2013. Kamadeva: The God of Desire and Shakti: The Divine Feminine are her other bestsellers. Currently all three books are being translated into Hindi, Marathi, Gujarathi and Bengali, a real achievement for one so young. 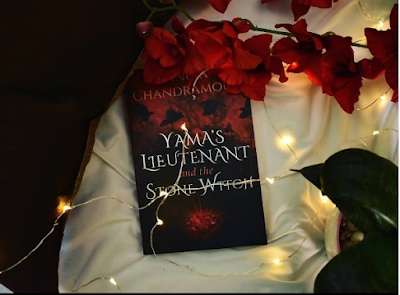 Her brand new book, an epic fantasy called Yama’s Lieutenant has received an overwhelming response. This happily married, mother of two little girls, lives in Sivakasi, Tamil Nadu. She is a student of classical dance and Yoga. Currently, she is hard at work on an awesome new adventure with Yama’s Lieutenant.